Actor Patrick Stewart revealed in an interview last month that both he and his X-Men: Days of Future Past co-star Ian McKellen will not be in the upcoming adventure X-Men: Apocalypse, which starts shooting this April in Montreal. However, in a new interview with Oregon Live, it seems things have changed, with Patrick Stewart revealing that he isn't coming back as Professor X, but Ian McKellen will be back as the older Magneto. Here's what he had to say in the interview. "Yes, I understand that it seems to be very unlikely that I will be in the next X-Men movie, which is almost getting ready to start shooting in Montreal. But Magneto, Ian McKellen, is certainly going to be in it." Naturally, the news has yet to be confirmed by 20th Century Fox, but it does hint at some intriguing possibilities. We already know that X-Men: Apocalypse will be the last installment of the trilogy that started with X-Men: First Class and continued with last year's X-Men: Days of Future Past. The story will also be set in the 1980s, with several new cast members recently signing on to play younger versions of Storm (Alexandra Shipp), Jean Grey (Sophie Turner) and Cyclops (Tye Sheridan). 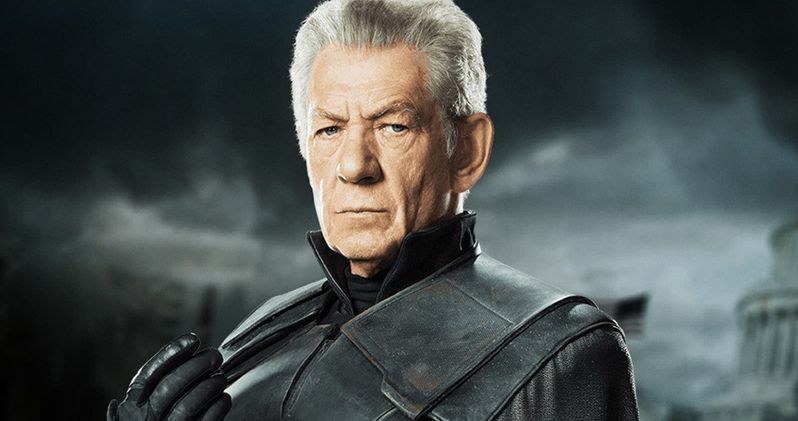 If Ian McKellen does appear as the older version of Magneto, it's possible that the movie could feature some scenes in the present day, perhaps as a flash-forward, but that has not been confirmed. Oscar Isaac also stars as Apocalypse, with X-Men: Days of Future Past stars James McAvoy (younger Professor X), Michael Fassbender (younger Magneto), Jennifer Lawrence (Mystique) and Nicholas Hoult (Beast) expected to reprise their roles, although they have yet to be confirmed at this time. Who else do you hope shows up in X-Men: Apocalypse? Let us know what you think, and stay tuned for more updates as we get closer to director Bryan Singer's adventure starting production.